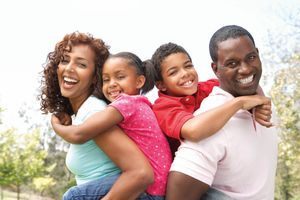 A family is a unique social system that provides a basis and structure for our lives. It is the one place in which we should be able to feel comfortable and safe. However, in today's world families are often faced with many obstacles that cause distress and threaten to break their foundations. During these times of distress family therapy may be beneficial. Family therapy is focused on the entire family system and helping them work through the current life stressors. The therapeutic process involves the entire family system and understanding how they function. Then discovering the areas in which the family is struggling and how each family member can contribute to change. We strive to help the family focus on how to communicate effectively and work together to resolve conflicts. Teaching my clients how to identify their specific family's structure and how (and what contributes to issues) it functions currently and ways in which to improve this functioning. -Building stronger relationship(s) between parent(s) and child/adolescent.